Are you on a trip to the Germany and looking for an attire to wear on business meeting or a special occasion? We the leading travelling tailors, assure to serve you in the top most manners with our vast array of custom tailored suits and shirts. 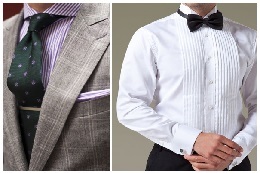 You can get made-to-measure suits and shirts that stitched from high class fabric to meet your expectation. We welcome you to reach us at vijay@rbespoke.com for requirements. With us, you can Book an Appointment by just filling up a simple form. For more details, feel free to call us at +1(202) 751-1859. Today!